Park Slope Parents (PSP) is a community of 5500+ families in Brooklyn, NY. Celebrating its 15th anniversary in 2017, its members have shared advice on everything from choosing childcare to camps, hairdressers to healthcare, and coping with teething, terrible twos, and tweens. Pregnancy, monthly baby and toddler groups so moms and dads can share insight and issues about raising same-age kids. 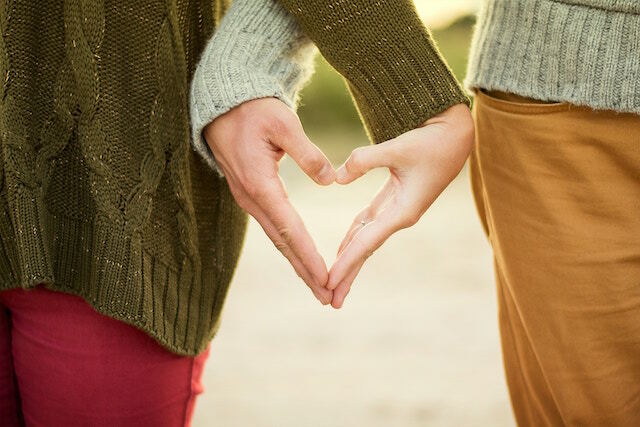 Specialty groups including raising bilingual kids to forums focused on single parenting, dads, hobbies (knitting, cooking, gardening), stay at home moms, tweens, LGBTQ, Kindergarten and Pre-K.
Online support for parents dealing with illness, divorce, and aging parents. 20+ Career sub-groups (e.g., law, tech, art, marketing, working moms) where members network, meet, mingle, and advance their careers. A public website with community resources, local business reviews and 1000s of parenting tips. 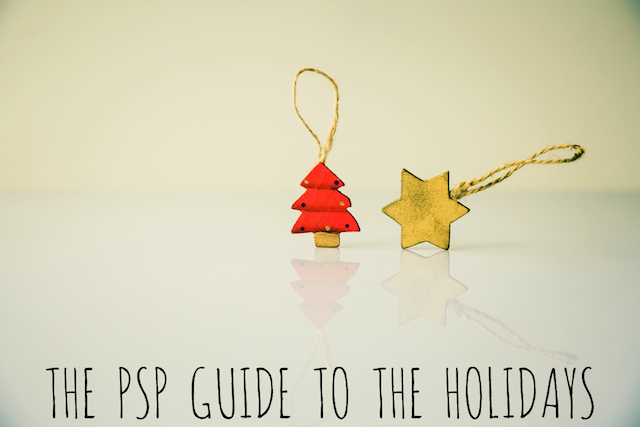 The PSP Guide to Hiring and Firing a Nanny, including sample work agreements, interview checklists, nanny share info and compensation guidelines. Traveling advice based on parents’ direct experiences, including best practices for flights, motion sickness, passports, and jet lag. 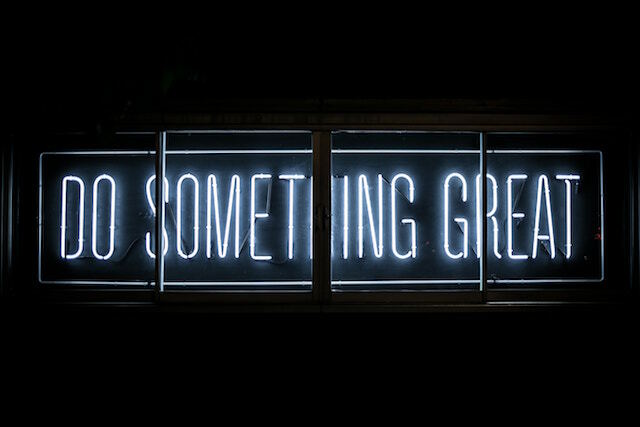 Tips for going back to work, including negotiating maternity leave, pumping at work, managing the work/life juggle, and more. PSP is instrumental to the Brooklyn community and has been featured in the NY Times, NPR, New York Magazine, Wall Street Journal, and other media. 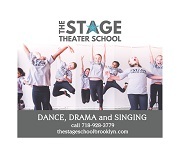 Advertise with Us - The Park Slope Parents website is advertiser supported. Get Help - Information, FAQs and guidelines to help you navigate both our site and our Yahoo! Groups. Contact Us - Drop us a line to ask questions, give us feedback, or otherwise say howdy! Access to our large Yahoo! Groups, including lists dedicated to Advice, Classified Ads, and Career Networking. Step one: Submit an application HERE. We'll respond quickly-- usually within 24 hours. Step two: Once your membership is approved, you’ll receive instructions for paying your membership fee. Step three: Sign up for the Yahoo! Groups and Specialty Groups you’d like to participate in. To join our large Yahoo Groups go to the follow pages and click "Join this Group." Already a member and looking for our groups? 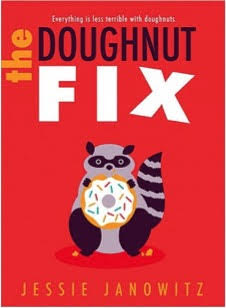 Bring your child (8-years-old and up) to the Brooklyn Public Library to celebrate the publication of The Doughnut Fix, the first book in a fun new series by New York author Jessie Janowitz. Meet the author and hear her read an excerpt from the book! There will be a book sale and signing! This event is recommended for ages 8 and up. Events, education, movies and playlists related to Martin Luther King's Birthday, January 21st, 2019. 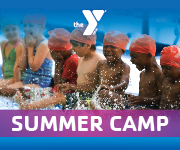 The program is free and open to the public with an emphasis on children. We are looking to highlight the human struggle and equality of ALL people as Dr. King spoke about. Guest speakers, books, and participants will create a big mural. A celebration of the life and legacy of civil rights leader, Dr. Martin Luther King Jr. A full schedule of activities will soon be released on the Facebook event page. Kids and parents from all over New York will come together to prepare and package about 3,750 meals per shift to be delivered throughout the Brooklyn community. See website for other MLK volunteer opportunities. Projects and activities for ALL ages: cooking, soup-kit and PB&J assembly lines, book drive, clothing drive, advocacy, arts/crafts, knitting, etc., to benefit Brooklyn Legal Aid, the Brooklyn Family Justice Center, CHIPS, God's Love We Deliver, HIAS, and more. Stories and songs for preschoolers starting 10:30am. BAM 33rd Annual Brooklyn Tribute to Dr. Martin Luther King, Jr.
Artists, activists, civic leaders, and community members come together in the BAM Howard Gilman Opera House to honor the legacy and share the dream of Dr. King. This event is free and sign-language-interpreted. This volunteer-run event includes a reading of Show Way by award-winning Brooklyn author Jacqueline Woodson about Underground Railroad, as well as music performances, and activities and crafts for children, and a complimentary lunch at noon. Greenlight Bookstore is a partner on this event. Parents can volunteer at the Tribeca warehouse with their children (over 10 years old) or help sort and organize donations to go to needy families. Due to limited space, 2 time slots are offered and each accommodates 10 people total. Please use the link to fill out the volunteer form and your participation will be confirmed via email. For questions, email Zakiyyah at or call 646-850-3611. Masterful storyteller, Tammy Hall, will be telling diverse tales from around the world creating a rich, Martin Luther King Jr. Day experience for all. 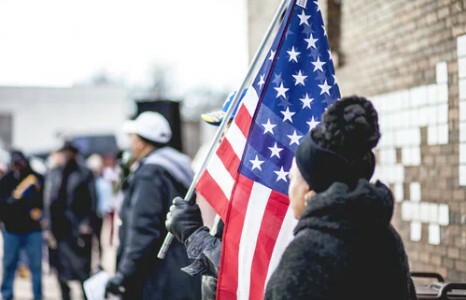 Let us remember and believe that "The arch of the moral universe is long, but it bends toward Justice". . Let us remind ourselves and tell our children how much has changed --still changing since the days when Martin Luther King's speeches sent chills down the spine of a nation. Most of all, let us take heart in the fact that great and just ideas endure in history and that we can make them a reality. Martin Luther King understood this better than anyone. Susan Fox, Ph. D. is a community organizer and mother of two. Her first child was due September 12, 2001 and after the events of September 11th made the decision to focus on quality of life and community issues. Since that time Susan has led efforts to create online and offline networks of people who can support each other and the community. Susan was chosen as one of the District Attorney’s Brooklyn Extraordinary Women for 2009 and a Woman of Distinction in 2010 by New York State Senator Eric Adams. Susan founded Park Slope Parents in July, 2002. The group supports each other online by sharing information about raising a family in Brooklyn (e.g., “does anyone know a local pediatrician?” or "How do I find a great nanny?") and issues about being a working parent (“how can I negotiate maternity leave?”). There is also a strong offline component as well, including a Spring Fling, kids’ music concerts and clothing swaps. There are also partnerships with non-profit organizations to provide child-related items (e.g., clothing, cribs, blankets) for needy families. She rallied donations of blankets, food and supplies during the 2012 Hurricane Sandy recovery efforts including over 1,5000 meals over a week for 500 displaced families. Susan has a background that is a tapestry of varied experiences. She has a Ph. D. in Communication from the University of California, Santa Barbara. Susan worked as Executive Director of Research for an entertainment market research company, an assistant professor, program coordinator for an Easter Seals camp for kids with disabilities, yoga instructor, blackjack dealer, and Can-Can dancer. She teaches a graduate course in Interpersonal Communication at NYU and also consults companies in strategic marketing and communications. Her most rewarding work-related experience, though, is as a Brooklyn community organizer. Dyker Heights: A Real Brooklyn Christmas Tradition! I want to set up a family Christmas tradition. My husband’s family attends Christmas Eve mass and mine carols. Now I want to give my sons a family holiday experience unique to our lives in Brooklyn. 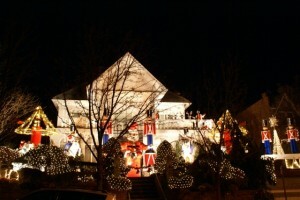 My friend mentioned her family drives through Dyker Heights to see the Christmas lights on Christmas Eve. Bingo! A Brooklyn Christmas tradition! 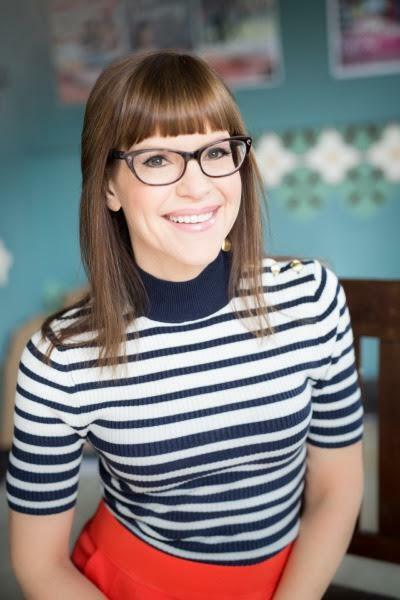 Lisa Loeb (known for her platinum-selling number one hit “Stay/I Missed You”), will be playing at BRIC Celebrate Brooklyn! Festival on Saturday, June 17th with The Knights. Lisa sat down with Suzi Shelton (Park Slope’s singer/songwriter to the playground set) to talk about Lisa’s upcoming concert at the Prospect Park Bandshell, her newest award-winning family album, and juggling the “mental load” of life with 2 kids. 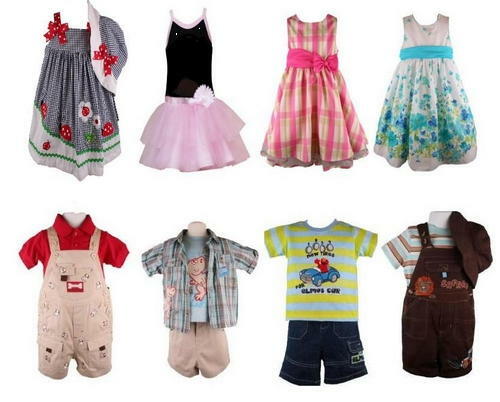 Please bring swappable kid clothing/books/gear for ages newborn-10 years. If you wouldn’t give it to your finicky in-law, don’t bring it to the swap. If you just want to drop stuff off, that's allowed-- anything not swapped will be donated. ***NEW Please presort MATERNITY clothes as well. We're going to have a more organized section for those clothes! 438 12th Street (between 7th and 8th) doorman there between 9am – 9pm. Dr. Maggie Carpenter, founder of Go Doc Go, and Artist Ryan Cronin have found a beautiful intersection between art and medicine that empowers women, raises cervical cancer awareness, and challenges our current approach to healthcare in the United States. Maggie and Ryan first began working with one another through Cronin’s charitable fund 12 Months of Giving. The Fund supports the work of not for profits whose mission is to be agents of change, one of the key missions behind Go Doc Go’s work. For the past five years Go Doc Go has focused its efforts on preventing cervical cancer in low and middle-income countries, but when the political climate in the United States shifted and the current administration put into motion an attack on women’s healthcare, Dr. Carpenter approached Cronin about collaborating to take action here in the States. Through a series of sit-downs the two conceived the idea of “The Box;” a public art piece that also acts as a privacy booth for women to self-swab a sample for HPV testing, allowing women to take their healthcare into their own hands. Traditionally cervical cancer screening has been done with a pap smear which required a doctor’s visit. Now HPV testing is an established alternative to pap smear screening in women 30-65. Studies have shown that women are capable of self-collecting their samples and the art installation will provide a safe, private place for women to do so. Over the last twenty years as a physician, Dr. Carpenter has witnessed the multitude of barriers to health care. From the wall-like booths and windows on walking into a doctor’s office, to the long waits for both an appointment and in the provider’s office, it is a struggle for anyone to practice good self-care. Cronin embraced the opportunity to use art to make healthcare more inviting by intersecting the two. Dr. Carpenter and Ingrid Frengle-Burke, FNP, the executive and assistant directors of Go Doc Go, will be onsite on January 25th, assisting women. They will be contacting women by phone to given them their results. The tests are being processed by bioreference laboratories at a reduced cost which will be paid by Go Doc Go if women do not have insurance. Any women with abnormal results will be referred for further evaluation locally. 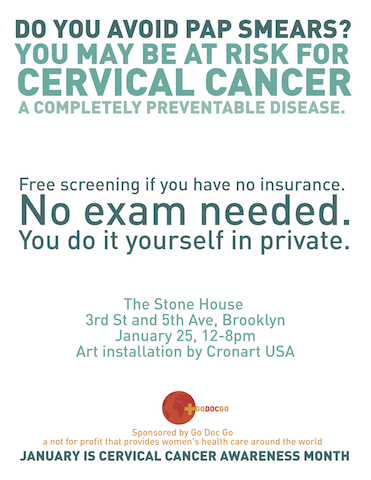 The Stonehouse will be the first of many showings of the Art installation raising awareness about cervical cancer, challenging traditional approaches to healthcare, and preventing it by diagnosing HPV before it has time to become cancer. They invite the public to a part of this ground breaking approach to health care. A look at our history since our beginning in July, 2002. Where to see Christmas Lights? Where: 8th floor of Macy's Herald Square on 34th Street between Broadway and Seventh Avenue. When: now - December 24, times vary; please see the schedule for details. Please note that Macy’s Santaland will close at 4pm (sharp!) on Christmas Eve. What: Santa is stopping by Macy's! He's only here for a limited time and it's be reservation only! You can reserve a spot on their Express Pass line free of charge online. Reservations are subject to availability and can only be made 30 minutes to 48 hours in advance. What PSP Members say: "I do not recommend Macy's. We made a 10am appointment for Macy's Santa and when we arrived and checked in they pointed us to the end of the line which snaked way outside of Santaland entrance, down through the cookware, and around the corner. At which point I asked somebody what the wait time was and they said about 3 hours. Which to me looked more like 4 or 5 hours because I remember the inside from last year and how it snaked around quite a bit. So we left and went to Bloomingdales. Same thing we did last year. So after 2 years of being let down by Macy's, I cancelled my Macy's card and wrote a letter explaining that young children that need naps and meals can't wait in lines that are 3 plus hours long. We have been very happy with the Bloomingdale Santa's and the fact that there were only two people in line in front of us was even better. You are totally allowed to take your own photos and Santa is very cooperative. they also have a photographer there if you would like them to do it and buy a package with printed photos and digital download for very reasonable prices." "You can take your own pictures head on at Santa Land. I always wait until they take their pictures then ask if I can take my own. They always step aside so I can go in the middle and take my own. You just have to ask! I even carry my gigantic camera (I’m a professional photographer) and have never had anyone say anything to me about it. My pictures are always great and I never have to buy theirs. Also, the new reservation only thing worked out great this year! It was so quick and easy for us (although we did go early in the season so it might be busier later)." "I did same. I took my own pics after they took theirs. You just ask them if they don't mine if I take a pic. Honestly, my pics come out way better than theirs." Cost: It’s free to visit and the professional photos are available for purchase, but they’re optional. Packages start at $20.99. When: November 24-Saturday, December 23, 10am-6pm, Monday-Saturday; 11am-6pm Sundays. What: Bloomingdale's has its own Santaland on the fifth floor in the kids' section, and we hear lines are shorter than at Macy's in the past. How much: Photo packages start at $22. What: Visit Santa for photos and a free gift! Santa will be available for photos and visits at his winter home, located Upper Level, near Best Buy. Reservations available, but not required! What: Skip the lines! Schedule your appointment time with Santa in Items of Interest's comfy, intimate, neighborhood-shop setting. Their kindly elves and Santa sit in a perfectly staged setting, complete with stockings, presents, and of course a Christmas tree! Their skilled photographer will take multiple photos, and (unlike the mall), you'll get all of them to take home with you on your very own jump drive, ready for you to print and/or create your online holiday cards! What PSP Members say: "I had a really great, easy experience with my newborn last year at Items of Interest. 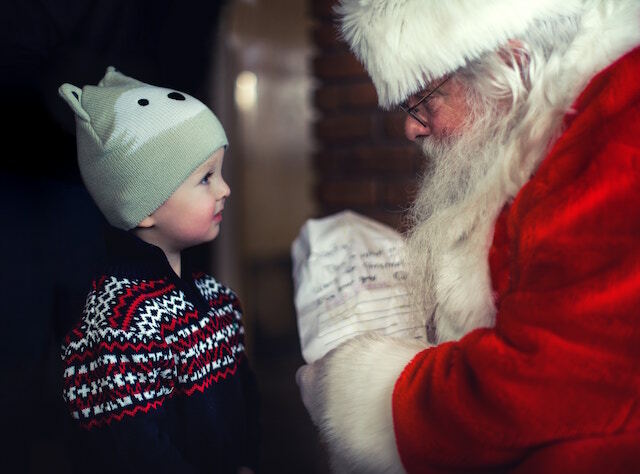 You can schedule in advance online, and the Santa scene is much more homey and less chaotic than a Macy’s/mall environment" and "we went to Items of Items of Interest last year. We really enjoyed it. I believe they've raised the price by$10 this year. We still plan on going again this year." What: A handful of Saturdays and Sundays Santa visits ABC Carpet & Home. What PSP Members say: "The Santa at ABC carpet and home is the best. Authentic as it gets. We've been going every year since our 8-year old was born. You take your own photos, though. No photographer is present." When: Saturday, December 16, 3 - 5 p.m.
What: Santa Visits on #theother5th are sponsored by the merchants through the BID. Meet Santa, take a photo with your child or children and get a candy cane in our local stores on #theother5th. Carolers will also be walking 5th Ave every Saturday 3-5pm before the holidays from December 2nd. When: Saturday, December 23rd, 4 - 5 p.m. When: Sunday, November 26th, December 3rd, 10th, 17th, and 24th! What: In celebration of the one year anniversary of the Second Avenue Subway, this year’s Holiday Nostalgia Train will run along the F line between 2nd Av and Lexington Avenue / 63rd Street and via the Q line between Lexington Avenue / 63rd Street and 96th Street on the Upper East Side. The special eight-car subway train of R1-9 cars from the 1930s is complete with rattan seats, ceiling fans, incandescent bulb lighting, drop-sash style windows, vintage roll signs, and original advertisements. Where and more details: The Holiday Nostalgia Train departs from the 2nd Av subway station on the F line at 10am, 12pm, 2pm, and 4pm and from the 96th Street subway station on the Q line at 11am, 1pm, 3pm, and 5pm. Cost: Don’t miss your chance to travel through time – for just the cost of a MetroCard swipe! What: Catch magical model trains zipping through 150 landmarks re-created with bark, leaves, and other natural materials—all under the twinkling glow of fairy lights. Marvel at G-scale locomotives humming along among familiar sights such as the Brooklyn Bridge, Statue of Liberty, and Rockefeller Center on nearly a half-mile of track. This year’s exhibition showcases Midtown Manhattan’s iconic skyscrapers and other architectural wonders, featuring new replicas of the Empire State Building, Chrysler Building, General Electric Building, and St. Bartholomew’s Church. Cost: prices vary depending on weekday or weekend. One adult ticket costs $23 or $30, students $20 or $28, children 2-12 $10 or $18. This is the cost PER ticket. When: Friday, December 15, 8 p.m. & Saturday, December 16, 8 p.m. When: Saturday, December 16, 7 p.m. & Sunday, December 17, 2 p.m. When: Sunday, December 17, 3:30 p.m.
What: Hundreds of tenor and bass tuba players will congregate on The Rink at Rockefeller Center to play Christmas carols and other crowd favorites. Tubists of all ages will line up under the famous Christmas tree and fill the plaza with the organ-line sound of low brass. Spectators are encouraged to sing along with the Christmas carols and holiday favorites. When: December 18, 4:30 - 6 p.m.
What: Join the Chabad of Park Slope for a local Menorah Lighting in partnership with the 5th Avenue BID. Chabad of Park Slope is creating a fun community experience with Donuts, Latkes and Dreidel gifts for the children. When: Tuesday, December 19, 10 a.m.
What: Holiday sing-a-long benefitting CHiPS (suggested donation $20). When: Sunday, December 31, 11 p.m.
What: Join Brooklyn Borough President Eric L. Adams and Prospect Park Alliance for Brooklyn's most spectacular New Year’s Eve Fireworks Celebration at Prospect Park's iconic Grand Army Plaza. This free event includes live entertainment by Brooklyn's own Quintessential Playlist starting at 10:30 pm, followed by fireworks at the stroke of midnight. The event, now in its 38th year, attracts tens of thousands of revelers to Prospect Park, making it one of the city's most popular celebrations. This event is free and open to the public. What: Little Essentials is one of PSP's favorite not-for-profit partners. They are a community response to a community need, helping families with children under 4 who live at or below the poverty line. We’ve worked with them for 6 years, ever since Sandie had her living room chock full of donated items from her baby group friends to donate to people less fortunate. If your baby group is getting together (which is awesome by the way) have a Little Essentials Toy Drive as part of your celebration. If you can have a toy drive at your office, wonderful. They need more than 500 toys for their needy families. Where: Drop toys off at their warehouse in Tribeca if you can (email Elissa Young to arrange drop off: " target="_blank">elissayoung@littleessentials.org). Or, if you need to drop them here in Brooklyn you can do so at my doorman at 438 12th Street between December 5th and 12th (9am – 8pm). Sheltering Arms - 3 ways ways to help! You can also attend one or both of their two wrapping parties! They need volunteers to sort, wrap, and track gifts for our children, many of whom will receive a present for the very first time this holiday season. Complete the volunteer form here to let them know you’re interested in sorting and wrapping presents. What: Have Tweens or Teens? 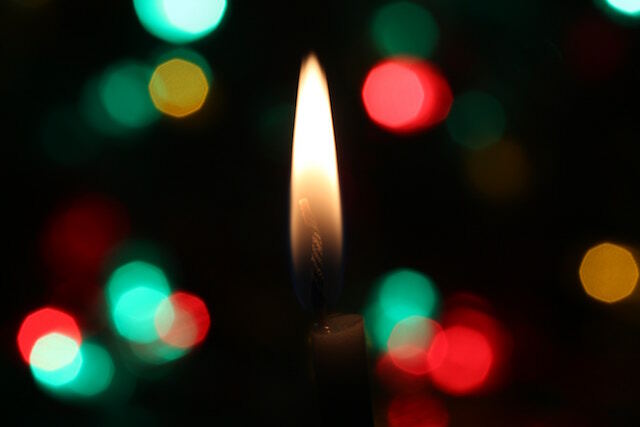 The Lantern GIFT DRIVE is for you. Could you imagine if you were homeless (or threatened with homelessness) and you’re between 14-24 years old? Lantern community services help their older kids, tweens, and teens. Lantern Community Services champions the independence and well-being of New Yorkers who are impacted by or threatened with homelessness. The families we serve struggle on very low incomes, and many of our youth don’t have families to turn to at all. With your help, we’ll make sure that every single one of them receives a gift. What they need: Buy any item from the Lantern Holiday Gift List. Make it personal by letting your kids help pick out items based on what they like. Select Lantern as the shipping address: Lantern Community Services Holiday Gift Drive, Clover Hall, Lantern CS, c/o Alicia Sweeney, Program Director, 333 Kosciuszko Street, Brooklyn, NY, 11221, United States. Please note: Lantern is a 501(c)3 tax exempt nonprofit and we would love to give you a letter acknowledging your donation, for your tax records. Unfortunately Amazon doesn’t pass on your details to us, so if you want to receive your letter, go to https://goo.gl/forms/nNw26gKiiECwP7e13 and fill out our form. What: Assemblymember Bobby Carroll's District Office is a temporary collection location for the non-profit 100 Suits for 100 Men. This community program serves men and women in need of business attire for the job search process. The mission of 100 Suits for 100 Men is “to help underprivileged men and women improve their role in society, build dignity and self-esteem, foster self-sufficiency, dispel stereotypes, and promote community involvement in order to build each other up.” 100 Suits for 100 Men seeks Business Attire in both Men’s and Women’s sizes from XS to 6X along with belts, briefcases, purses, ties and shoes. You can drop off donations at Assemblymember Carroll’s District Office in Park Slope. Where: 416 7th Avenue (between 13th and 14th Streets) between 9:30 a.m. to 4:30 p.m., Monday through Friday.